ABC has released a clip and synopsis for tonight's episode of Agent Carter. Check it out below and let me know what you think. 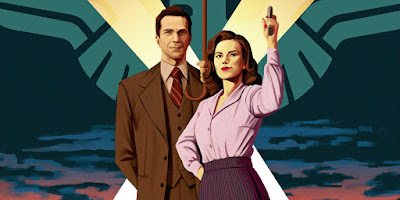 "Life of the Party" - When Peggy realizes she cannot save Wilkes on her own, she turns to her most unexpected adversary for help while Whitney makes a move to control the deadly Zero Matter, on "Marvel's Agent Carter," TUESDAY, FEBRUARY 16 (9:00-10:00 p.m. EST) on the ABC Television Network. "Marvel's Agent Carter" stars Hayley Atwell as Agent Peggy Carter, James D'Arcy as Edwin Jarvis, Enver Gjokaj as Chief Daniel Sousa, Wynn Everett as Whitney Frost, Reggie Austin as Jason Wilkes, and Chad Michael Murray as Chief Jack Thompson.